Thieves is a must have. Personally in our home, I have backup bottles of Young Living Thieves Essential Oil. You will find no other like it. It is the absolute BEST natural way for supporting our immune system and keeping us healthy. Now that we are in full blown sick season, we are using it now more than ever. And I'm sure it's no secret to you... but most cleaners and other product on the market today contain toxic ingredients that can wreck havoc on every part of our body at the cellular level. We only use the Young Living Thieves Line in our home... from cleaning supplies, toothpaste, hand soap and even laundry detergent. 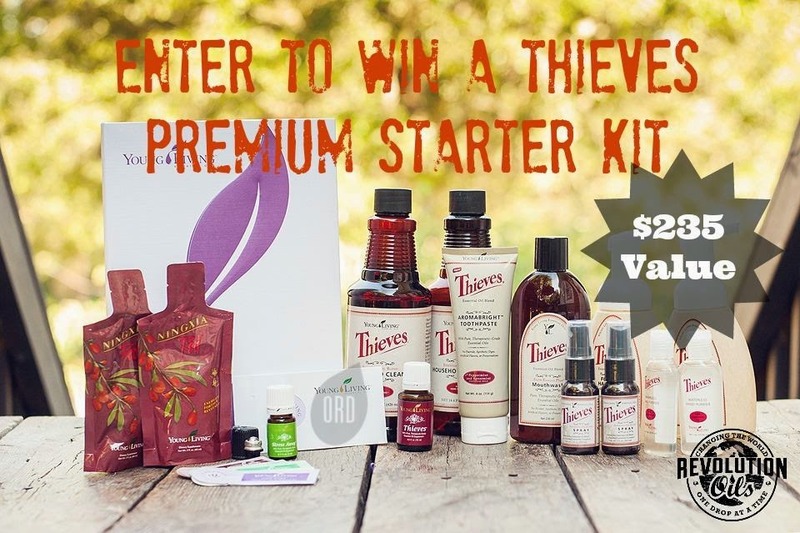 Thieves is a blend of Clove, Lemon, Cinnamon Bark, Eucalyptus Radiata and Rosemary. This is the most AMAZING blend of highly antiviral, antiseptic and antibacterial essential oils. It was created from the research based on legends about a group of 15th- century thieves who rubbed spices and oils on themselves to avoid contracting The Great Plague while robbing the bodies of the dead and dying. When captured by the king, the thieves said they were spice merchants trapped in the city because the ports had been closed. They had run out of money to support themselves so had resorted to stealing. They knew if they anointed themselves with certain herbs and oils, they would be immune to the plague. The thieves shared this information with the king in exchange for more lenient punishment. And today we have those very oils in one blend... Young Living Thieves Oil. Studies conducted in 1997 at Weber State University demonstrated just how powerful these amazing oils had against airborne microorganisms. The analysis showed that after 10 minutes of Thieves diffusion in the air, there was an 82% reduction in gram positive Micrococcus luteus organism bioaerosol, a 96% reduction in gram negative Pseudomonas aeruginosa organism bioaerosol, and a 44% reduction in S.aureus bioaerosol. Doesn't that sound AWESOME?!! Who wouldn't want some Thieves in their home? And a TON of great product info!! To enter, go HERE and like my Facebook Page, leave me a comment on what you want to try most out of the kit, share this link and Enter to win below via the Rafflecopter using your Facebook Account or Email.